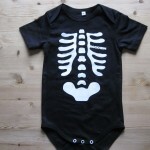 T-Shirts & Body with Teigens Tivoli. NB! No logo on the back of Body. 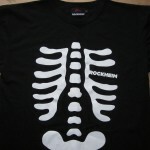 Can be purchased at Rock Home – Trondheim. As shown in the pictures then this is for sale now. The Lord & Lady models. And the CD – 40 Beste. 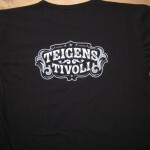 Posted in News	| Comments Off on T-Shirts & Body with Teigens Tivoli. Here is the text of the new song from Jahn Teigen. Posted in News	| Comments Off on Brygga i Tønsberg. Posted in News	| Comments Off on En Hemmelig Hemmelighet. “Brygga i Tønsberg” as a download from cdon. iTunes & Platekompaniet from 25.06.2012. Feel free to use the link in the menu on the right to get to iTunes. on July 26 after the unveiling of the sculpture of Jahn Teigen at pier in Tønsberg. PROMO CD with Jahn Teigen. Posted in News	| Comments Off on PROMO CD with Jahn Teigen. Single with Jahn Teigen found. Posted in News	| Comments Off on Single with Jahn Teigen found. Rockheim, Trondheim in Norway 20 june 2012. June 20, 2012 is the opening of Teigen `s Tivoli. This is a special exhibition dedicated to Jahn Teigen. In Rockheim, Trondheim. Teigens Tivoli name is borrowed from the solo debut album from 1977, which was recorded in Trondheim. Posted in News	| Comments Off on Rockheim, Trondheim in Norway 20 june 2012. Concert with Jahn Teigen July 7, 2012. Jahn Teigen has a concert July 7, 2012. This in Kongsvinger, Norway at the castle. Tickets available also purchased in Kongsvinger. Posted in News	| Comments Off on Concert with Jahn Teigen July 7, 2012. Jahn Teigen with a new song and that after 8 years! We will be back with more info on this! Posted in News	| Comments Off on New song from Jahn! We have now added three new links on the right side! Direct e-mail to Lage Fosheim. Here can you download and purchase music to Jahn. Posted in News	| Comments Off on New links!